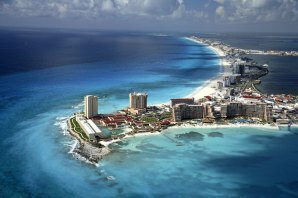 Cancun, Mexico (June 28, 2011) – Food and wine lovers from all over can mark their calendars as the countdown to the First Annual Cancun-Riviera Maya Wine & Food Festival has begun. Bringing national and international affluent consumers to one of the most visited and picturesque destinations in the world, the inaugural event will take place March 15 – 18, 2012. Celebrating Star Chefs, Wines and Spirits of the Americas’ continent, Mexican Gastronomy, and special guest of honor, Ferran Adrià — this innovative Festival will feature some 30 events over four days, including the best that Canada, the USA, Mexico, Argentina, Brazil, Chile and Peru have to offer in terms of talent, wineries, spirits and culture. A sampling of the festivals events include: The Future of Cooking with Ferran Adrià, Star Chefs Tribute To Mexico Gala Dinner, Celebrity and Winemakers Lunch Cruise, Tapas & Paellas Competition, Ferran Adrià Tribute Dinner, Wine and Spirits Tasting Seminars, Celebrity Chef Cooking Demos, After Dark Cancun Parties, the Amex Gourmet Tasting Village where the best restaurants and gourmet foods, wines, spirits and entertainment will be showcased, and a Closing Latin Grill and Fiesta. CELEBRITY CHEFS FROM 8 COUNTRIES: Ferran Adrià, Spain; Ingrid Hoffman, USA; Jacques Pepin, USA; Aaron Sanchez, USA; Marcella Valladolid, USA; Cristián Correa, Chile; Jerome Ferrer, Canada; Paulina Abascal, Mexico; Christian Bravo, Mexico; Sergio Camacho, Mexico; Aquiles Chavez, Mexico; Arturo Fernandez, Mexico; Miguel Garcia, Mexico; Paola Garduño, Mexico; Guillermo González, Mexico; Federico López, Mexico; Paco Mendez, Mexico; Benito Molina, Mexico; Ricardo Muñoz, Mexico; Edgar Nuñez, Mexico; Enrique Olvera, Mexico; Bruno Oteiza, Mexico; Patricia Quintana, Mexico; Carmen Ramirez, Mexico; Alejandro Ruiz, Mexico; Roberto Solis, Mexico; and Jonathan Torres, Mexico. Additional star chefs from Argentina, Brazil and Peru to be announced soon. SPONSORS: The Cancun-Riviera Maya Wine & Food Festival brings together the world’s leading consumer food, wine and spirits producers, importers and distributors, as well as luxury goods companies interested in exposing current brands and/or introducing new brands to affluent customers, primarily from North American and Mexico. This international festival is the first gourmet lifestyle event dedicated exclusively to celebrating the Best that the Americas continent has to offer in terms of talent, wine, food and spirits, as well as the rich ingredients and cultural traditions known to Mexico, while giving back to the community, with proceeds from the festival supporting local charity Ciudad de la Alegria. Festival partners and sponsors include: The Cancun Conventions Bureau; the Riviera Maya Tourism Trust, and Visit.Mexico; American Express Company (Mexico); Grupo Herdez, Grupo Modelo, Nestle Waters, Porsche , Aqua Hotel and many others in advanced discussion. There are a limited number of sponsorship and hospitality opportunities still available. For additional information, please contact David Amar at 998-164-4487 (Cancun cell) or 514-862-8901 (Montreal, Canada Cell). ABOUT CANCUN-RIVIERA MAYA WINE & FOOD FESTIVAL: Scheduled for March 15 – 18, 2012, tickets for the Cancun-Riviera Maya Wine & Festival will go on sale in October 2011. For more information on the Festival, please visit www.cancunwineandfoodfest.com. ABOUT DAVID AMAR: David Amar is the President of Amar & Partners Inc, and a former Partner of Monitor Group, one of the Leading Global Strategy Consulting firms, with some 1,500 consultants working across the world. David has lived and worked in Paris, London, New York, and now shares his time between Cancun and Montreal. A Passionate Gourmand and Gourmet, David has put together an outstanding team of people with major food and wine event production experience, and invites you to share a memorable and intimate Festival, in a unique vacation destination, Cancun and Riviera Maya, Mexico.